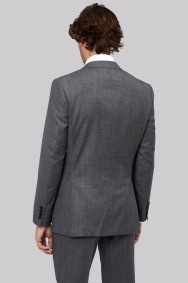 Feel every inch the man about town with this textured suit from Moss 1851. 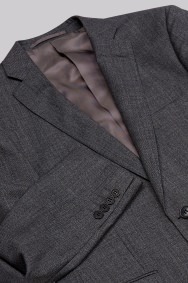 Standard grey suits move over, it's the on-trend textured finish that takes this single-breasted jacket to another level. Crafted from pure wool and featuring a contemporary tailored fit design, it's right on-trend and will quickly become one of your go-to choices this season. There's not much this suit can't do, so go wild when it comes to selecting colour combinations and business casual styles. 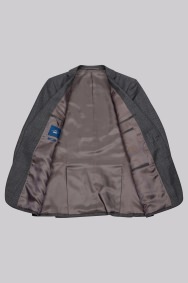 If your wardrobe needs an injection of sophistication, look no further than a tailored fit jacket. Expertly cut to nip in and flare out in all the right places, this timeless style is designed to fit you like a glove and accentuate your silhouette. Step into a tailored fit jacket and enjoy instant refinement – tapered trousers and a slim fit shirt complete the classic look. Beautiful, exceeded expectation! Sale price too! Excellent quality and fit. The jacket feels light and modern. The look of the item was very different from the images on screen. I didn't like this textured look at all. 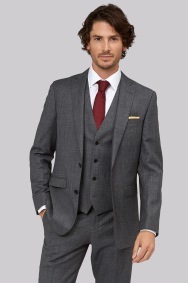 Tailored fit and fits beautifully. Great colour and texture. Excellent Quality, Very comfortable and unrestricted.